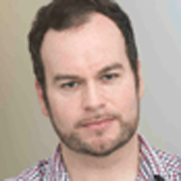 Brendan O’Neill is the editor of spiked and a columnist for the Big Issue in London and the Australian in Sydney. He also writes a daily blog for the Daily Telegraph and is a regular contributor to the Spectator. He has been described as “one of this country’s sharpest social commentators” by the Telegraph and as a “sub Danny Dyer intellectual wind-up merchant” by the Guardian. Information valid as of May 2012.